Total Access Analyzer, the most popular Microsoft Access add-in, is now shipping for Microsoft Access 2016. Total Access Analyzer offers comprehensive documentation and analysis of your MS Access databases so you can better understand individual objects, cross-references between objects, procedure and data flow diagrams, VBA module analysis, and much more. Detecting over 300 ways to fix and improve your databases, Total Access Analyzer improves the quality of your work, teaches you best practices for Access application development, and increases your productivity. 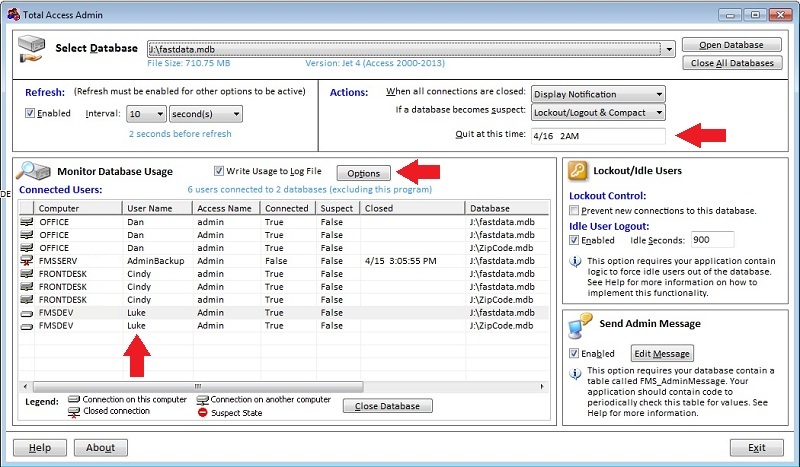 For additional details, visit New Features in Total Access Analyzer 2016 for the enhancements since the Access 2013 version. Existing customers can upgrade at a discounted price. A demo version is available. FMS is pleased to announce the release of Total Access Analyzer, version 15, for Microsoft Access 2013. Total Access Analyzer 2013 is our 10th major release of this product since its debut with Access 1.1 in 1993. Total Access Analyzer provides detailed documentation and analysis of your MS Access databases to help you better understand how your objects work together, detect problems, improve your designs, and enhance performance. Total Access Analyzer examines all your database objects in detail to find 300+ types of issues including errors that crash your application, unused objects and VBA code, design inconsistencies, and other best practices to maximize your investment in your Access applications. Over 390 filterable and customizable reports are available to document your applications and help you develop more efficiently. Reports include table/field dictionary reports, object cross-reference lists, module printouts, application flow diagrams, field and SQL consistency reports, and much more. Discover why so many Microsoft Access enthusiasts made Total Access Analyzer the most popular Microsoft Access add-in of all time and the winner of every Best Access Add-in Award for decades. Existing Total Access Analyzer customers can upgrade for a discounted price.